need you to get me feeling cosy and excited for the months ahead. Though if you are a fan of festive scents galore and looking for a winter pick me up in a parcel, ecological company Sweet Cecily's cannot be beaten! I could rave about it all day, how they are environmentally aware and still manage to capture the exact same scents from my childhood, everything smells authentic and beautiful. I adore the fact it's made in the stunning Yorkshire countryside, so beautiful in winter, I feel they have infused their products with scents and sights from the landscape mmm. All of their gift sets and products are organic, each designed to keep you smelling sweet, feeling toasty whilst providing protection against the harsh climate of the colder months. I received the Essential Pampering Collection kit to review and it comes in this sweet little personalised gift drawstring bag with gold detailing. It feels like you're opening a sack full of presents. 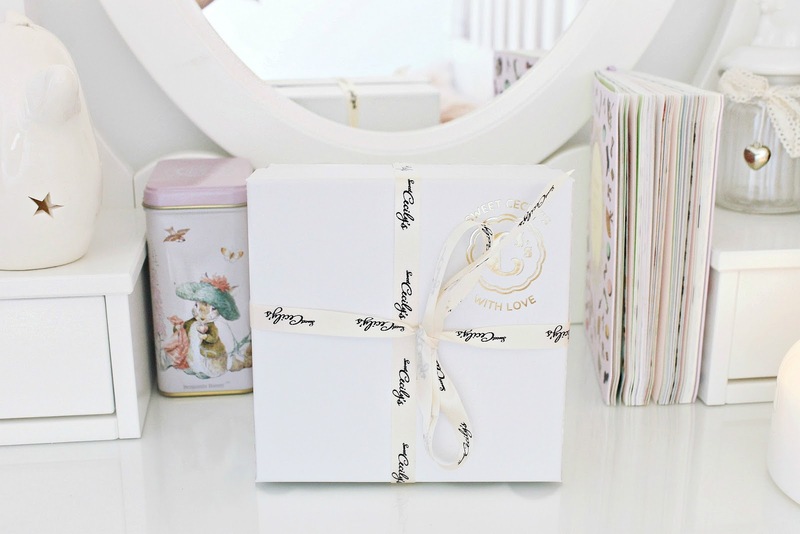 I love the dreamy look of the packaging, it's very shabby chic and perfect for someone who loves homemade everything! 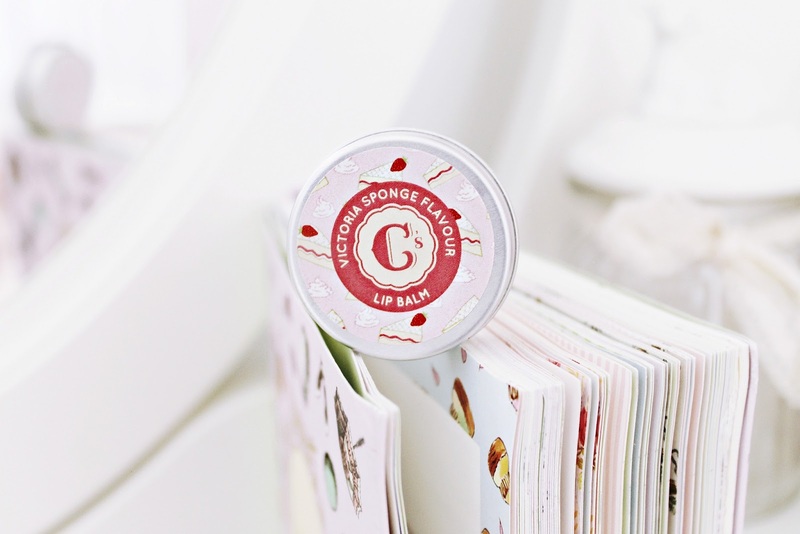 First up, my favourite product, this Victoria Sponge flavoured lip balm. 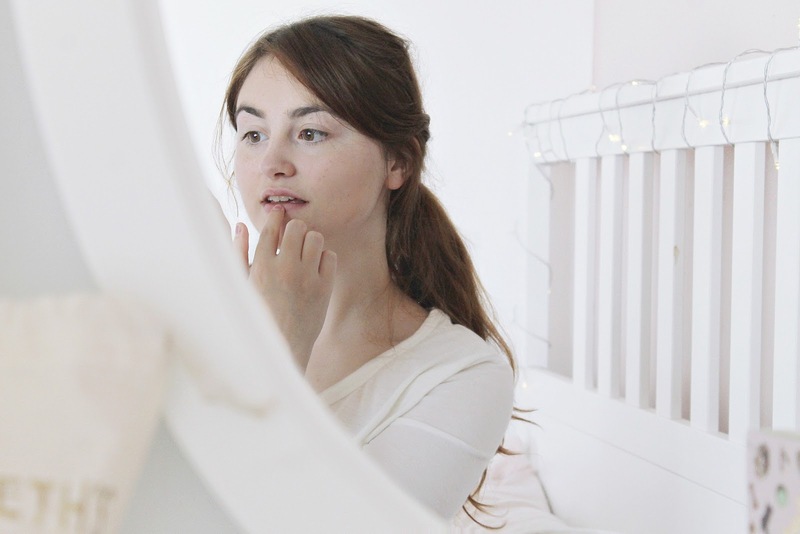 It's even replaced my all time fave Rose Lip Salve, I could spend all day applying it. the packaging is so cute too, adorned with mini cakes! It's such a treat to use, I have no idea how they made it smell so good whilst using all natural ingredients, and it remains so hydrating. I would describe the scent as white chocolate-like, it's so dreamy and authentically cake-y! 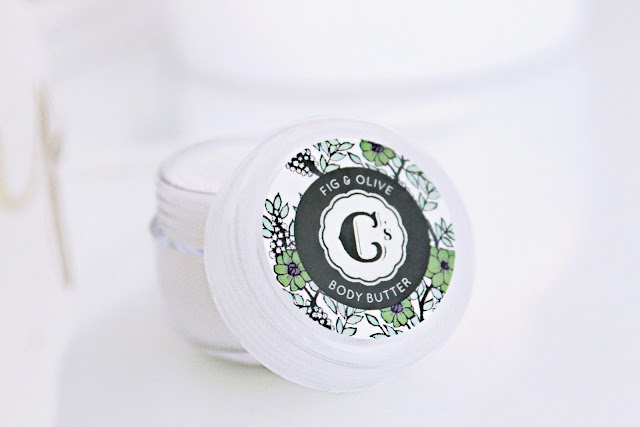 It feels like a lip salve and is lovely to use as a multi purpose balm too, with a silky instead of glossy finish. These salts are so dreamy and fragrant, smelling of a Turkish rose field, little petal flakes nestled amongst the crystals. These have such an exotic, beautiful scent, they will take you on a journey to a warmer climate. This Citrus and Walnut homemade scrub to me smells to me like candies, orange peel (reminds me of Cristingles! ), hazelnuts, tonka and walnuts, a sweet, nutty zesty scent that makes me think of festive evenings and is a dream to use. 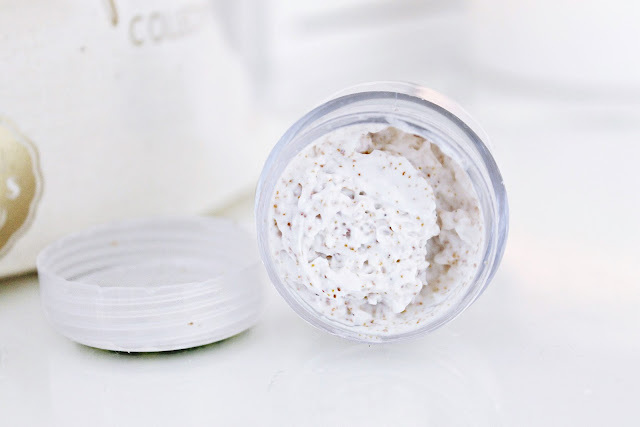 It's a powerful scrub but not damaging to sensitive skin, containing pieces of ground walnut shell instead of micro beads, that make a dramatic difference to the look and feel of your skin. This smells just like Bounty bars, a sweet, gentle and almost nutty fragrance. 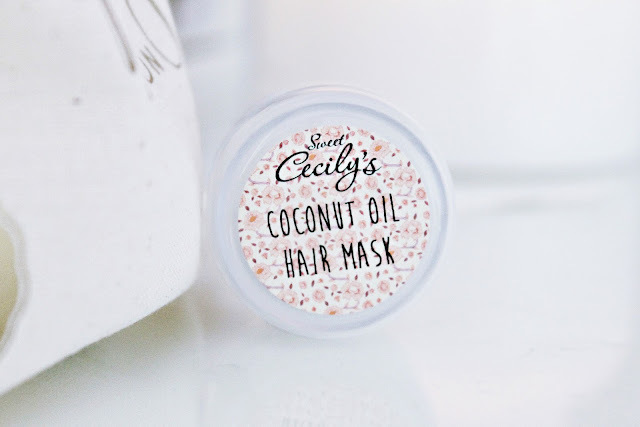 It consists of organic virgin coconut oil and is so silky in texture, I only wish I could find more of this stuff as my hair is so long to cover! Amazing product. It look so useful. I didn't try it but I like it very much! Lovely review dear, so nice and interesting! Thanks for sharing! What a fantastic product! And I hear you about saving up money for seasonal gift sets. They are always so sparkly and hard to resist. i am totally going to check out sweet cecily's! thanks for sharing! that scrub looks so good. 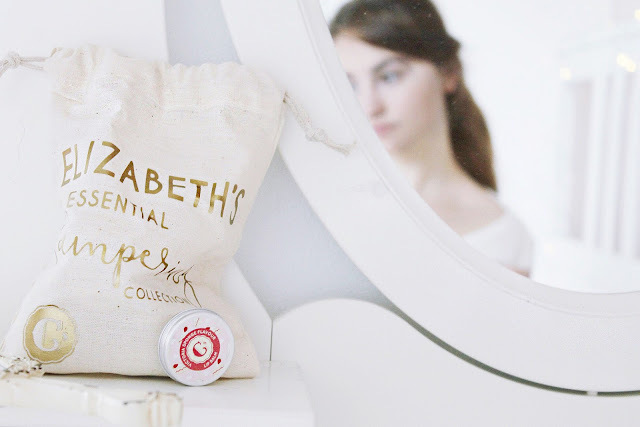 great products and lovely blog. Victoria sponge flavoured lip balm sounds incredible! Oooh these all sound SO good!